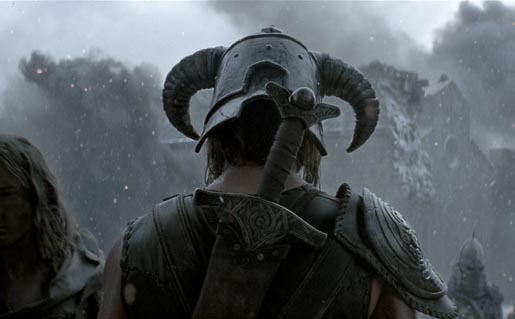 Bethesda Softworks has released an advert for The Elder Scrolls V: Skyrim, their newly released first person role playing video game. 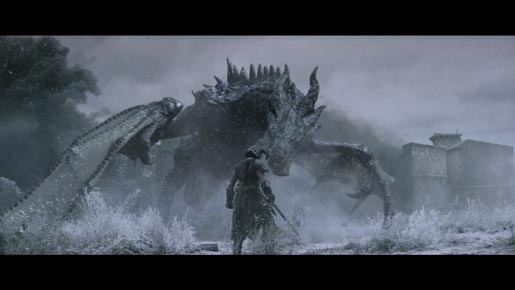 The live action video depicts a fantasy village full of people running away from an approaching dragon. One man wearing a horned helmet is walking towards it. The Elder Scrolls V: Skyrim was released worldwide on November 11, 2011 for PC, Xbox 360 and PS3. The video was produced by AKQA by creative director Akira Takahashi, senior art directors Elizabeth Bieber and John Whitlock, senior motion designer Andy Hanes, senior designers Jason Fuqua, Khoi Tran and Alfredo Medrano, senior interaction designer Mike Hickman, senior copywriter Jon Lee, director of creative development Jon Reiling, technical director Doug Smith, software engineer Jennifer Sears, creative developers Brian Williams, Vladmir Nazarov and Zack Dolin. 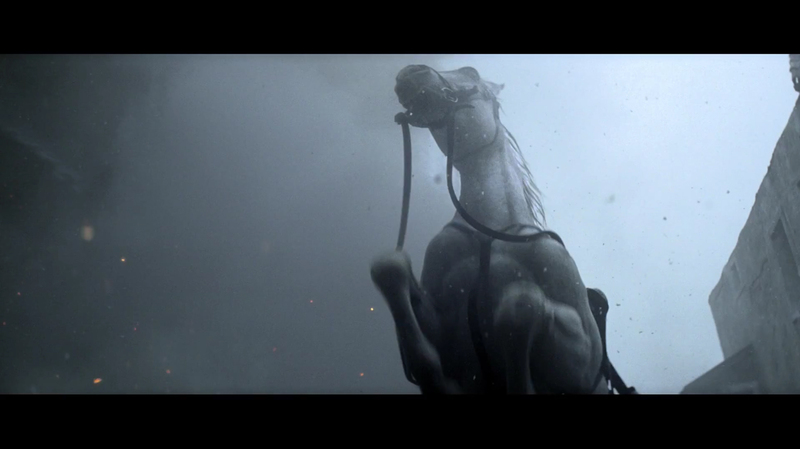 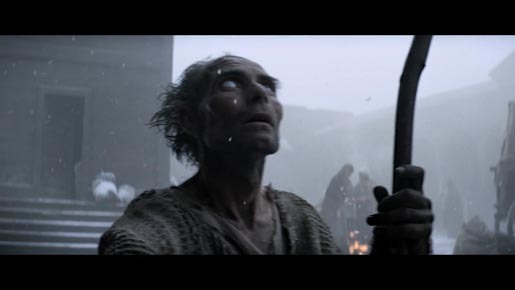 Filming and visual effects were produced at Logan by QA manager Rick Fulgencio, QA analysts Bradford Mar, Samuel Meyrowitz, Peggy Sue Teising, director Alexei Tylevich, game director Todd Howard, executive producer Matthew Marquis, director of photography Nicolaj Bruel, line producers Rich Kaylor and Kristyna Kodet, production designer Jindrich Kocí, post producers Albert Mason and Scott Siegal, VFX supervisor Vincent Wauters, editor Volkert Besseling, Flame artist Brandon Sanders, and composer Michael Kadelbach.